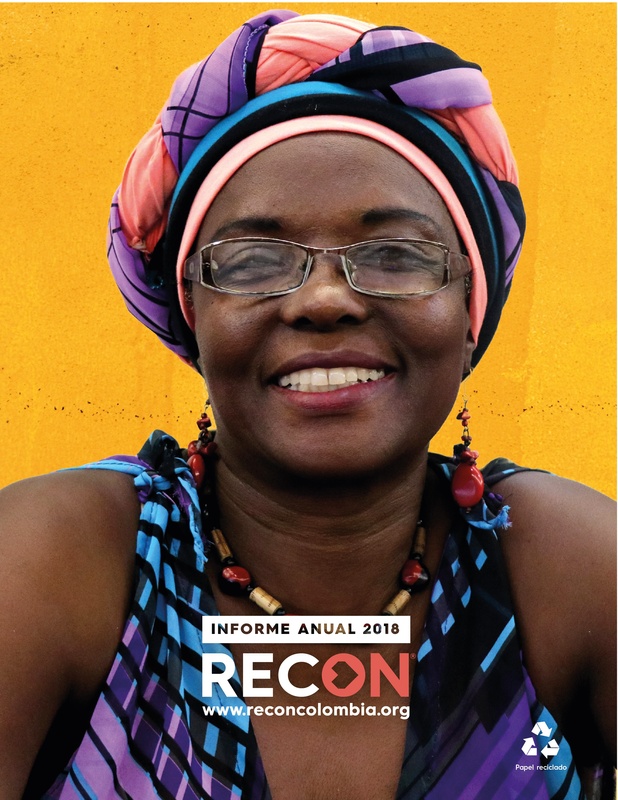 RECON and Ruta N will hold a forum on social entrepreneurship in Medellín. RECON and Ruta N, with the support of Sweden and UNDP will hold a forum in Medellín on social entrepreneurship for peace building in Colombia. 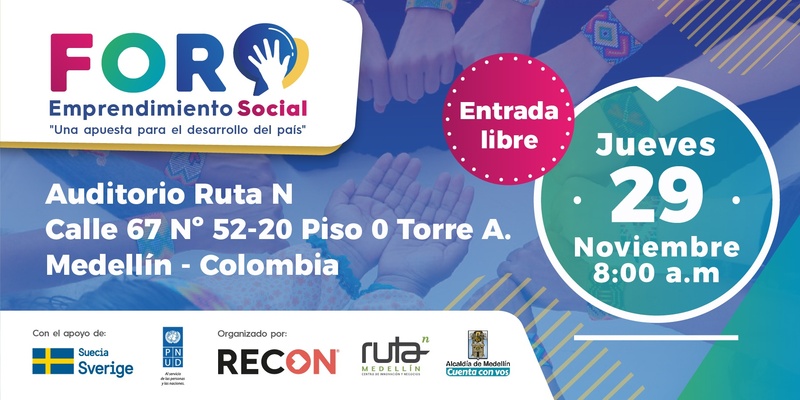 RECON, a non-profit organization that identifies, supports and strengthens social entrepreneurship and peace building initiatives in Colombia and Ruta N will hold the forum “Social Entrepreneurship: A bet for the development of the Country” on Thursday, November 29. 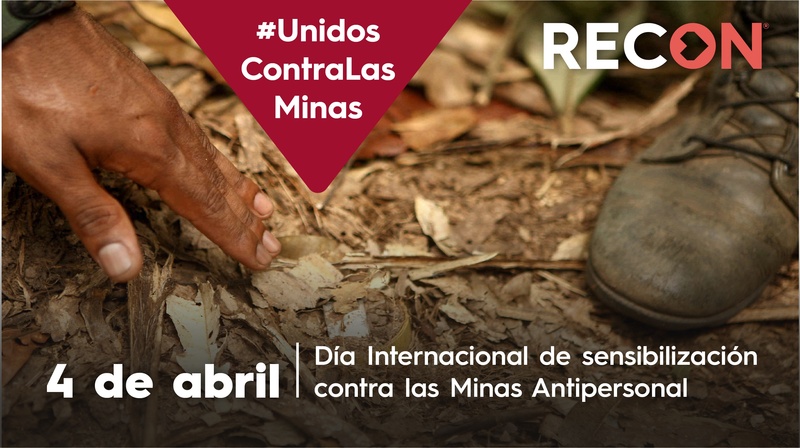 The event will be held in the Auditorium of the Ruta N complex located at Calle 67 No. 52-20, Floor 0, Tower A. This space aims to talk about social innovation in Colombia, especially in Medellín, to publicize the undertakings of this type that are emerging with great challenges and needs. The agenda of the Forum will revolve around social entrepreneurship initiatives that, through their business models solve problems, contribute to the construction of peace and transform social realities, while generating profits and economic development. 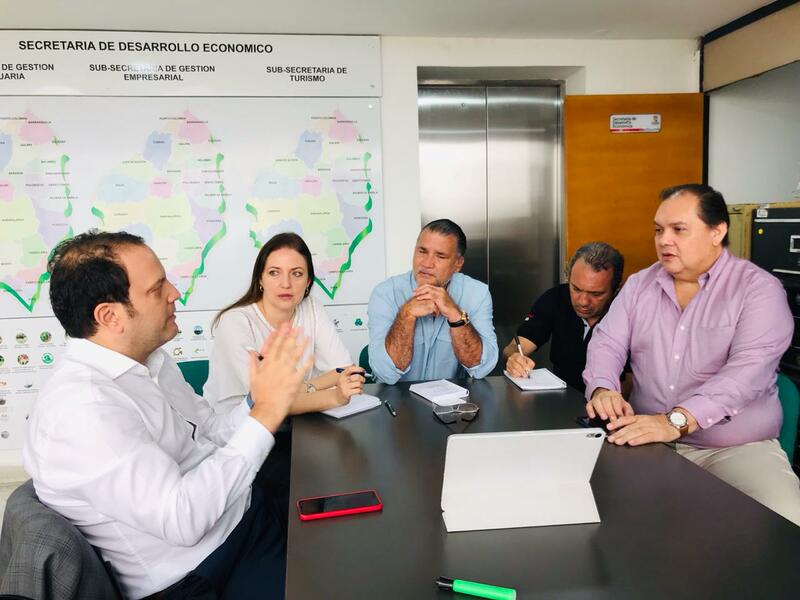 The moderators will be diverse actors in the academy, international cooperation agencies, diplomatic personnel and protagonists of the public sector of Medellín who have actively participated in the fulfillment of the 2030 Agenda of Sustainable Development Goals. With this type of space RECON seeks to generate alliances to strengthen social entrepreneurship in the country, as a generator of opportunities for the construction of peace and economic and social development of vulnerable communities. It is a Colombian non-profit organization that identifies, supports and strengthens initiatives of entrepreneurship and social innovation for development, which allow to impact and transform realities to build a different future. The work is aligned with the vision of the Sustainable Development Goals and we work for the most vulnerable communities in the country, applying a territorial, ethnic, and gender approach. It is the center of innovation and business of Medellín, which facilitates the economic evolution of the city towards intensive business in science, technology and innovation, in an inclusive and sustainable manner. 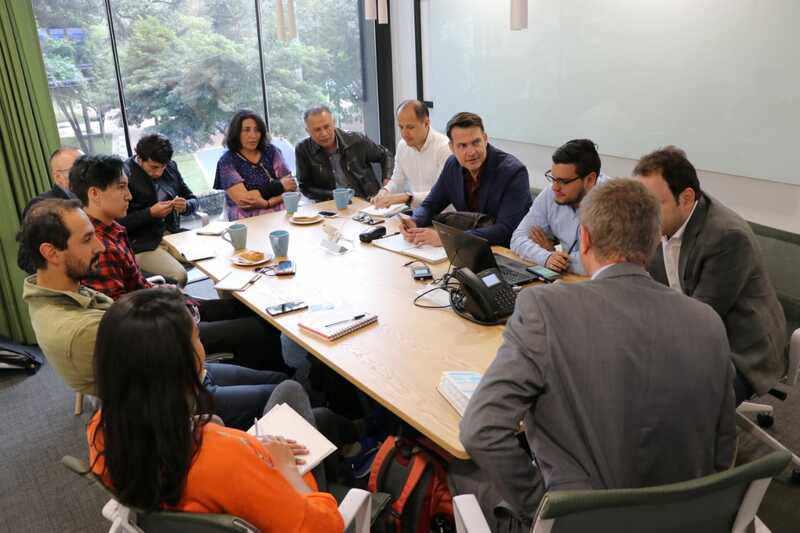 It seeks to articulate and energize the innovation ecosystem of Medellín, emphasizing four key ingredients: the formation of talent, access to capital, the generation of the necessary infrastructure and the development of innovative businesses. It promotes an innovative culture, the generation of employment, the strengthening of institutions, the training of talent and access to markets. The main purpose is improving the quality of life of the inhabitants of the city through innovation.